Waterproof and durable high quality polyester fabric and dual metal zippers. Convenient USB charging port and headset port. Ease access luggage strap and anti-theft zipper pocket on back. Safe reflective pieces on front. Padded breathable mesh back panels and Adjustable padded shoulder straps. Divider multiple compartments, fit 17 Inch laptops. DURABLE & COMFORTABLE STRAPS FOR EASE CARRYING: An durable backpack with high quality Waterproof Polyester Material and Dual Metal Zippers. Serve well as a professional laptop backpack. Adjustable Padded Shoulder Straps for optimal comfort and ergonomic support; Breathable Mesh Back Panels for comfortable carrying. Luggage Strap for easy access to suitcase rails. Reinforced Dual Top Handles for easy carrying. 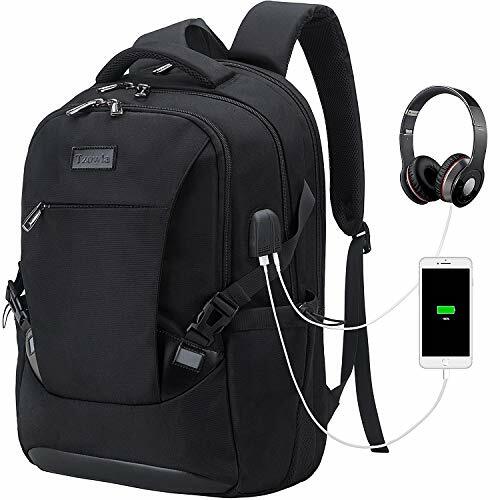 It's a great traveling laptop bag for men women. If you have any questions about this product by Tzowla, contact us by completing and submitting the form below. If you are looking for a specif part number, please include it with your message.